Ground pure spices. Full of aroma & flavour. 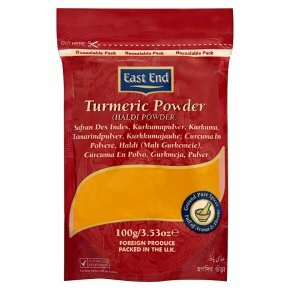 Suitable for vegetarians.East End source the finest spices from around the world, store them under climate controlled conditions and re-clean them using the very latest technology and methods available. East End's state of the art spice mill then creates a spice retaining a unique purity fresh aroma and flavours.